A very interesting study on tooth decay!! Please read and thank you for visiting us at Shoreline Endodontics, Groton, CT! The results of the seven year study, published today in Community Dentistry and Oral Epidemiology, found that the need for fillings was reduced by 30 to 50 per cent through preventative oral care. “It’s unnecessary for patients to have fillings because they’re not required in many cases of dental decay,” said the study’s lead author, Associate Professor Wendell Evans of the University of Sydney. “This research signals the need for a major shift in the way tooth decay is managed by dentists — dental practice in Australia needs to change. Our study shows that a preventative approach has major benefits compared to current practice. “For a long time it was believed that tooth decay was a rapidly progressive phenomenon and the best way to manage it was to identify early decay and remove it immediately in order to prevent a tooth surface from breaking up into cavities. 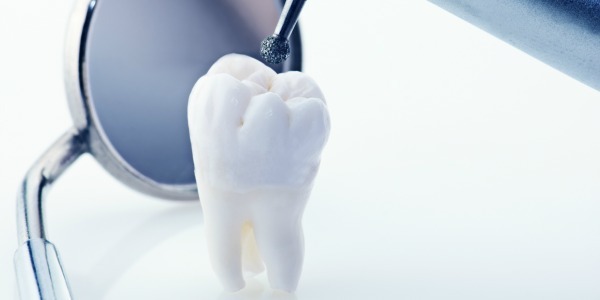 After removing the decay, the affected tooth is then restored with a filling material — this process is sometimes referred to as ‘drilling and filling’. “However, 50 years of research studies have shown that decay is not always progressive and develops more slowly than was previously believed. For example, it takes an average of four to eight years for decay to progress from the tooth’s outer layer (enamel) to the inner layer (dentine). Aural Feedback for Oral HygieneCan Going To The Dentist Give You A Good Night’s Sleep?